In the red corner, weighing in at hundreds of years old, steeping in unquestionable tradition and not afraid to give your taste buds a solid punch of tannin - it's............ Peeeeeeerrrrrrrrrrrryyyyyyyyyy! Well, that's a really good question and currently is being debated amongst the cider community. 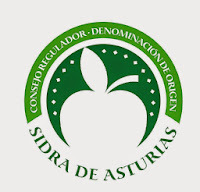 On one side, the traditionalist are crying for the blood of the new wave contemporary pear ciders. But on the other, it's pure rock star treatment and popularity to burn. It's like the new kid at school, who's cool, intelligent and all the girls like him. Pear cider has capitalised on perry's recent dips in popularity and become king - especially here in Australia. Sounds a lot like school doesn't it! Pear cider which is now being understood and made quite well in Australia is beginning to flourish in our hot climate. Consumers both young and old are enjoying the fresh new pear alternative to apple cider. Pear cider in Australia is typically refreshing, inoffensive, light with usually a touch of sweetness. Alcohol levels are in and around the comfortable 5 to 6 per cent levels too. The beauty about pear based alcoholic drinks in Australia is the surplus amount of good fruit with varieties like Lemon Bergamot, Williams, Beurre Bosc, Packham and Josephine all readily available. 'Readily available' may potentially be the doing's of two large profit based supermarkets who dominate Australian fridges and lunchboxes (if you catch my drift). Like eating apples, these varieties can lack in the tannin department - unlike Corella pears which are for eating, but highly astringent. This in turn leads to the more softer, more neutral pear ciders being made currently. Perry which is made from traditional varieties like Gin, Blakeney Red and Moorcroft is known for its exceedingly high tannin levels, juicy sweetness and complexity. One could argue that pear cider is indeed made from the pretender pears, with traditional perry being made from the traditional perry pears. Interesting argument in itself really, but does that mean apple cider made from eating apples needs to change its name? Tricky. Perry pears, like cider apples are broken down into classifications of: Sweet, Medium Sharp, Bittersweet and Bittersharp (astringent). These differing classes can all be blended together to make fine perry, which can rival any good French champagne in quality (Just don't tell the French that). Perry trees are known to out live a human 4 to 1, and grow as high as 50 metres! The problem with perry pears, is they take a long time to grow, "Plant pears for your heirs" is a very well known old English saying. I do know of a pear grower in the Adelaide Hills in South Australia, who is considering grafting his crop to perry pear varieties. Grafting onto an established tree significantly cuts down fruit bearing time. Good move? He's not getting any love from the giant supermarkets i speak of, and pear cider is booming remember. Tempting for sure. But is Australia ready for traditional perry? All these questions will be answered when the Australian Industry and consumer palates evolve over time. Especially too as more and more traditional English perry's and French poire cidres are being imported into Australia. But the sheer lack of these perry pear varieties in Australia is also one of the factors to why we are seeing the more lighter styles in our market. The one question which burns on my brain is what happens when the curiosity of the Australian Cider Maker boils over and the thirst for a fuller, oaked, tannic and more complex cider is made. What will they call it? What was that C+C Music Factory song from 1991 called? ?......Things that make you go Hmmmm!! Further more, do we have the evil empires of Strongbow, Rekorderlig, Bulmers, Kopparberg and Magners to blame for the pear cider phenomenon? Australian producers have been quick to snap up the new name on their labels like a bull at a gate, but is this due to paranoia of being left out to dry? No, i don't think so, but i think we need to thank these big boy producers for some its popularity. It's purely marketing and associating their product with an ever growing and popular product. Can't blame them for that can you. Don't get me wrong, there are Australian producers who are labelling their products perry, and that's great to see. I just wonder when the ever growing curiosity of the modern day consumer will start to get confused? I can see a young consumer walking into a bottle shop and being bombarded with hundreds of Australian pear ciders and perry. Imagine the questions asked? "Excuse me, what's the difference between this perry and this pear cider? ", to the response, "nothing.....i think?". I know many people who have asked me to explain perry when i mention it in conversation too. I am not for one second saying there needs to be regulations on what you can call it. Hey, it's not wine! But the French don't like sparkling wine being called Champagne do they. Don't then get me started on Poire Cidre! Wonder what the English think? So what i really want to come to terms with is are the differences of name a pure stylistic thing? Or is it a new name given to a new fresh modern approach to a very old and wise beverage? I believe i would go with the modern Vs traditional alternative. Pear cider in my eyes is the name given to a product which is easily made, living off the popularity of apple cider and is super trendy. It's readily available for you at a bar, it's a talking point, males can now drink it without succumbing to stupid taunts and it just tastes good without being in your face. Unfortunately a traditional perry today may seem outdated, but also misunderstood to the new wave cider consumer. Hence i urge everyone to expand their tastes. But pear cider is modern. Pear cider is here to stay. 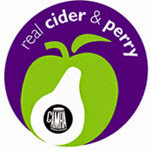 So who wins the Perry Vs. Pear Cider Smack Down?.........You be the judge!